Are you ready for a business breakthrough? IS IT ALWAYS A BAD THING WHEN PEOPLE UNSUBSCRIBE FROM YOUR EMAIL LIST? What do unsubscribes mean, when should you be concerned, and does it really matter? Go have a look at your email list and just take a look and see what your stats and your numbers are. I would prefer that people unsubscribe, rather than ignore my email or just push it into the spam folder. The reality is unsubscriptions and people unsubscribing is not a bad thing. So I’m not suggesting in any way that you and I set out to increase our unsubscribe rates, but I’m just suggesting that we look at the metrics a little bit differently. So most of us have bought into this lie that we need to fit in, and when this is exactly the opposite of what we need to do. If you don’t wanna give me your feedback, just hit the unsubscribe button, move along, and find someplace that you feel comfortable. 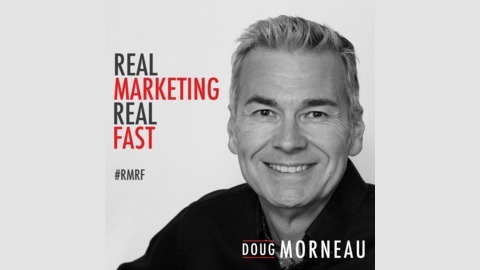 Doug: Well, welcome back, listeners, to another episode of Real Marketing, Real Fast. Today’s solo episode’s gonna be all about unsubscribe rates from your email list. So what do they mean, when should you be concerned, and does it really matter? Now this may sound weird, but in this episode, I’m gonna unpack this a little bit and I just suggest that you open your mind and then after you’ve had a chance to listen to the episode and digest it, go have a look at your email list and just take a look and see what your stats and your numbers are. Seems today everywhere we go online, that, you know, I’m sure you’d agree, that we’re bombarded with advertising and marketing messages. As email marketers, we’re not exempt from adding to this plethora of marketing messages that all of us see as consumers. However, email marketers share the same fate that many other online marketing and media channels do too. When your email is sent and is ignored, it is not opened or it remains in the spam folder, email clients like Google take notice. So the new currency of the day in terms of social and as well as email is attention. Attention and engagement. So if you can’t get somebody’s attention and you can’t get them to engage with you, you’re gonna be punished for that. So, obviously, I would prefer that people unsubscribe, rather than ignore my email or just push it into the spam folder. But here’s a hard fact. In my recent book I had just written, here’s some information with regards to mobile. If you send a marketing message to your email list and your subscribers open their email on a mobile device and that email that you’ve crafted or your marketing department has crafted, does not display well on mobile, the reality is that a large percentage of these consumers will now mark your email as spam. So they’re not marking it, they’re not deleting it, they’re not looking at it, they’re opening it up and they’re marking as spam. And to be exact, the numbers in the industry are about 34 percent of consumers have marked promotional emails as spam because they didn’t work well on their mobile device. So that’s a post or a podcast of a whole different topic, but the reality is unsubscriptions and people unsubscribing is not a bad thing. So I’m not suggesting in any way that you and I set out to increase our unsubscribe rates, but I’m just suggesting that we look at the metrics a little bit differently. So as I mentioned, I’m not upset to see people unsubscribe from my own email list and here’s why. They obviously trust my brand, my approach, and the system that we’re using, so they can trust if they click that unsubscribe button that in fact, that we will be compliant and we will be respectful and we will take them off their list and they won’t receive email anymore. And I don’t wanna say that lightly, I just want you to think about that for a minute. If your recipients on your email list don’t trust you, your brand, the system that you have, that allows them to unsubscribe, they, in fact, won’t unsubscribe and they will just take up space on your list, they will lower your over-all engagement and click rates, which will have a negative effect on your email deliverability. So given the choice of having people rarely or never opening my email, I’ll always choose to unsubscribe. So it hurts us in two different ways. So it hurts both the brand, your brand and my brand, and the ability for us to reach peak performance for inbox placement. There’s a whole variety of reasons, obviously, that people unsubscribe from your email list and my email list, so my recommendation is to know your numbers. Look at your numbers, track your numbers, as you’re testing and you’re sending different messages in terms of frequency and offers, and see if that’s really having an effect on those top-line unsubscribe numbers. But go and do a little bit of research. Spend a few minutes and get on the wisdom trail, get into Google and take a look and see what the typical unsubscribe rates are for your particular industry and that’ll give you a benchmark and an idea to know where you are. So let’s assume that you and I are sending emails to our list to add value to our subscriber’s life, it helps them address a problem that they face, in their personal or business life. So I’ve written about respecting your subscribers and treating them how you and I like to be treated before, so I’ll assume that you’re following basic email best practices. So it may be that your style or the style or voice of your brand doesn’t connect with those subscribers. Again, I’d say great. You know, I recently read a book, and quite enjoyed it, by an author by the name of Christopher Lochhead. And the book is called Niche Down and it really is … It’s been called a life hack of hacks and in Christopher’s book, he basically walked you through the reason why you wanna niche down and become known for your niche. So if you look at what I’m doing, my niche is email marketing and if I niche that down further, my real niche really is email marketing, partnering with influencers, who will send your marketing message to their opt-in audience, or aka. Sponsored email, email list rental, or email native advertising. So most of us have bought into this lie that we need to fit in, and when this is exactly the opposite of what we need to do. We need to have the courage to stand out and so I see the authenticity of your brand helping you niche down when people unsubscribe from your list. Personally, I look at it as finding my tribe, people who I can serve, who appreciate my approach to marketing and business. So if you think about it, if the people that are on your list don’t appreciate your style, your business acumen, the advice that you give, and the direction that you’re going, what would happen if they actually became a client? How much fun would it be to work with them? So again, I come back to, do me the favor, if you don’t like my content, you don’t like the direction that I’m going, I’d appreciate your feedback, but if you don’t wanna give me your feedback, just hit the unsubscribe button, move along, and find someplace that you feel comfortable. So for those who’ve known me for a while, if you’ve listened to the podcast, you might agree that I’m somewhat of an acquired taste. So years ago, I was working with a particular client and I was buying all of their media and we were buying sponsored email and we’re doing this through an email list rental from big, major brands and publishers that were allowing us to buy advertising in their list and they were disseminating that to their subscribers. And when I started reviewing the data and the metrics from the various email campaigns I was running for them, I noticed an anomaly in the data. So I’m just gonna break it down quickly here what we were looking at. So I had two different writers, so two different creative writers that were writing content about the same topic for the same client and obviously, they’re two different writers, so they had two different styles. Our team in-house was designing the HTML email, so we had control to make sure that the look and feel of the emails were similar, so the main differentiation point here was the actual written word, the content. I was also buying all the media and what we were doing is I was doing some A/B testing where I was really sending out two different types of content to the same list to see which one performed the better. And what we noticed was that one writer continually outperformed the other writer, so I believe the reason was simple. One writer was neither liked nor hated, so people were indifferent to him. So if you think of Christopher Lochhead’s suggestion of fitting in, he was fitting in. So people were indifferent to him. The second writer was quite a contrarian, so people either loved him or hated him. There was no lukewarm, you either liked the guy or you didn’t like the guy. So thinking about this for a minute and maybe I’ve already tipped my hand in the direction of the answer, but which writer do you think continually, day after day, week after week, month after month, out-performed the other writer? It was the second writer, by far. He was the clear winner. He didn’t fit in, he had a very contrarian approach, he had a very aggressive approach to his writing and the audience responded to that. So we were less concerned with click-through-rates than we were sales, and what we noticed is this guy consistently out-sold the writer that played it safe, was in the middle, and people were indifferent to. So if you think about real life, welcome to 2019, think of someone like Gary Vaynerchuk. So I think that often he’s like I am, or I’m like he is, in the sense that we may be an acquired taste. So many people love his style and many people hate his style, yet he has a cult-like following. So my point is this. The people who follow Gary V. open and read and engage in his emails. They engage in his social media and they engage in his videos. Now I’m sure if Gary was on the podcast and I asked him if he worried about people who unsubscribed to his mailing list or unfollow him on social media, that he doesn’t lose any sleep over it and I’m sure he would have a very colorful response on exactly what he thinks about people who leave his tribe and leave his audience because they don’t like his approach. So when I looked at my own email marketing metrics, in terms of emails delivered and emails opened and the click-through with my emails, my newsletter, and unsubscribes, initially the unsubscribes bothered me, I thought, “Wow.” In this case, it was early in my business and building my list, the unsubscribes bothered me, ’cause many of these people I could see unsubscribing were people that I knew. So they may have subscribed because they were a friend or they were a business associate. But then my thinking changed, I thought, “Well, obviously, they’re in x business and my focus on my newsletter and the information that I’m sharing in terms of tips and tactics and hacks doesn’t fit their business.” So they’re not doing me any favors staying on my list. As I said, they’re actually doing you and I a disservice if they’re on the list and they’re not engaging. So I had to realize that it wasn’t personal. My inbox is full every day. I intentionally subscribe to other people’s lists and download other people’s lead magnets, because I wanna see what they’re doing and in many cases, I’m interested in learning from these people, so I follow them, I look forward to their emails, I open their emails, and lots of times, I buy their courses and training as well, moving forward. So maybe the people that signed up wanted to get some specific information, so you put up a lead magnet that was really compelling and it was, “Hey, 10 ways to do this,” whatever it may be, and they signed up, they got the information, and then once they got the information, they either liked it or didn’t like it, but the reality was they weren’t interested in hearing from you on a regular basis so they unsubscribe. So I think we really need to get ourselves, not take it personally and just take a different approach to it and just think about it a little bit different. And with regards to new subscribers joining my list, I think you should do that. That’s just a subtle advertising moment. And obviously I get more excited seeing people join my list, but I’m also happy to see that people who don’t find that I’m meeting their needs move on and hopefully they can find a better place and they don’t take space on my list and affect my metrics by not engaging. So, you know, look at people that are unsubscribing from your list as they’re not your tribe. So how do you feel when you open up your email marketing platform and seeing people unsubscribing? I think if we’re really real with our approach and messaging, in our marketing, and specifically, our email marketing, you and I will find our tribe and the people who will fall in love with us and fall in love with our brand. So just to give an analogy and compare email to other metrics, you know, we run Google AdWords and we use negative keywords and we craft messages to attract the right clicks so that our target audience and the people who were trying to, as best as possible, qualify as potential clients for our business, or our client’s business, and then we also run the negative keywords to repel the people that we don’t want. So, you know, here’s my hard sell. Join me, see how I communicate and see how I respect and serve those who join my email list and follow me to receive hacks, tactics, strategies, and tools that I use. If you don’t like what you’re getting, obviously, guess what, you can unsubscribe. If you wanna have a dialogue or conversation with me, I do answer all the emails that come back from my regular communications with my subscribers. But maybe what you should do, before you look at the post, is maybe you should go into Google and you should type that as a question and you should see what comes up because 99.9 percent of the stuff that’s gonna come up is gonna tell you no. And I’m not gonna tell you what Gary says, but go have a look at that blog post, there’s a video in there with Gary explaining that, so you know, that’s all I’ve got for you today. 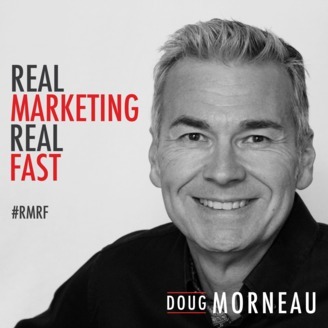 So I hope that this episode has provided you some value, will help you to think about your list and how to have better engagement, reach your tribe, be real, and stand out from the crowd. Don’t try to be like everybody else in your industry. Be you. Bring your superpower to the marketplace and if people leave because they don’t like your approach, that’s fine. Other people that like your approach will come, be attracted to you, stay, become loyal followers, and hopefully become evangelists for your brand. So thanks for tuning in. I hope you enjoyed this episode, I hope to see you on my email list and to get some engagement, some feedback, some questions, some comments, and some pushback from you on this, so I look forward to serving you on our next episode. What is Email List Rental and Sponsored Email Advertising? FACEBOOK & GOOGLE AD BANS – ARE YOU NEXT?